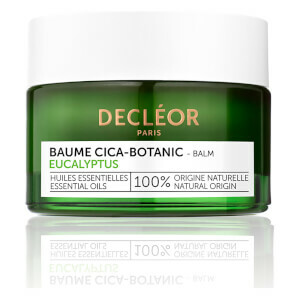 Soothe and strengthen skin with DECLÉOR Cica-Botanic Oil, a deeply nourishing formula that helps to reduce the appearance of scars and stretch marks in just eight weeks. Enriched with a blend of nine botanical oils, the weightless formula sinks in effortlessly to replenish deep hydration and improve elasticity, helping to heal skin and prevent the formation of stretch marks. 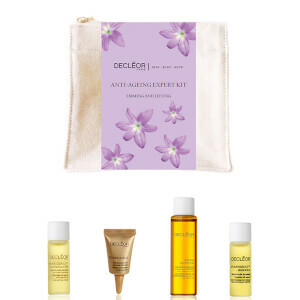 Sweet Almond, Jojoba and Avocado work in harmony to calm any irritation whilst evening out the skin tone for a refined and youthful appearance. With continued use, stretch marks are minimised and the skin is radiant and unified. Mit kreisenden Bewegungen auf die betroffenen Hautpartien auftragen. Prunus Amygdalus Dulcis Oil, Sweet Almond Oil / Persea Gratissima Oil, Avocado Oil / Simmondsia Chinensis Seed Oil, Jojoba Seed Oil / Prunus Domestica Seed Extract / Rosa Rubiginosa Seed Oil / Borago Officinalis Seed Oil / Ribes Nigrum Seed Oil / Black Currant Seed Oil / Camellia Oleifera Seed Oil / Tocopherol/ Glycine Soja Oil / Soybean Oil/ Ascorbyl Palmitate / Benzyl Alcohol.